It’s time for our roundup of E3 2018 that just took place in Los Angeles. This year, the major publishers all eagerly announced ambitious projects, many of which are slated for release in the next two to three years, so the teasers sometimes contained little in the way of concrete information. But other games gave us plenty of gameplay and visuals to sink our teeth into, so that’s what we’ll focus on today. Here are the biggest projects from the expo that we can’t wait to play. The events of Assassin’s Creed Odyssey take place in Greece in the 5th century B.C. The main hero (or heroine — you can now choose your character’s gender) — is a Spartan mercenary who travels all over the Aegean Sea and the Peloponnesian peninsula. Your goal is to earn fame and to uncover the secrets of your family, who once sentenced you to death. 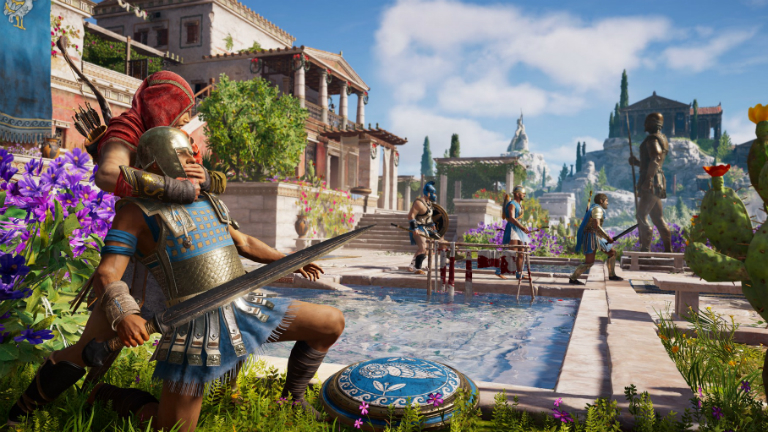 Dialogue in Odyssey will give the player a choice of responses. Sea battles will be returning, and on land you will be able to take part in both minor scuffles and real battles. The game will take a decisive step away from the “action + adventure” formula towards RPG gameplay. But while you’re gearing up for your journey to Ancient Greece, we recommend paying a visit to Ancient Egypt in Assassin’s Creed Origins. You can play it in full HD with high quality graphics on the Playkey.net platform, without worrying about your hardware. 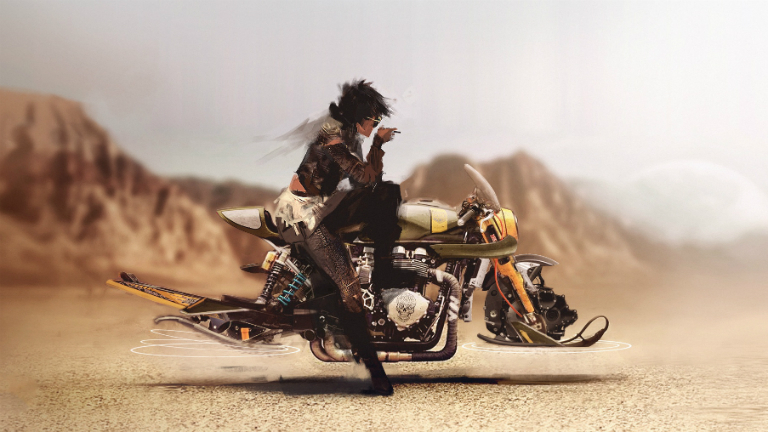 Beyond Good & Evil 2 is on a much larger scale than the first instalment, which came out way back in 2003. The new game is being touted as a prequel, but Jade and Pey’j from the original are definitely going to be in it. You will explore a huge world as the captain of a crew of space pirates where you can choose to play solo or in a group. Ubisoft loves talking about the seamless multiplayer and the randomly generated elements on the surfaces of planets, but so far there’s no information about the story of BGE 2. Possibly the biggest thing that happened at E3 2018 was the cinematic trailer for Cyberpunk 2077 and the showing of the hour-long demo behind closed doors. The new RPG from CD Projekt RED is based on the pen-and-paper game Cyberpunk 2020 and will offer a first-person perspective, setting it apart from The Witcher 3 (but players will be able to switch to third person when driving, for example). 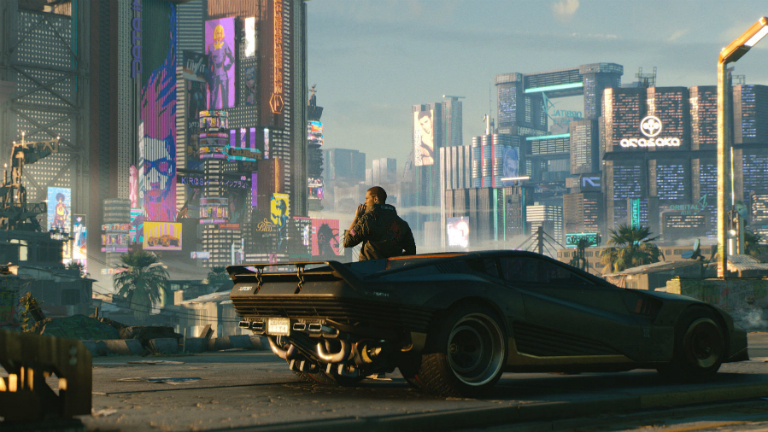 The name Cyberpunk 2077 tells us when the game takes place, and the setting is Night City, a city on the U.S. West Coast with a sky-high crime rate. You’ll play as a mercenary, taking on jobs that would prove lethal for ordinary citizens. You can select your gender, modify your appearance, and choose a back story. Implants that greatly expand your abilities (i.e. stopping time) come in handy on missions. 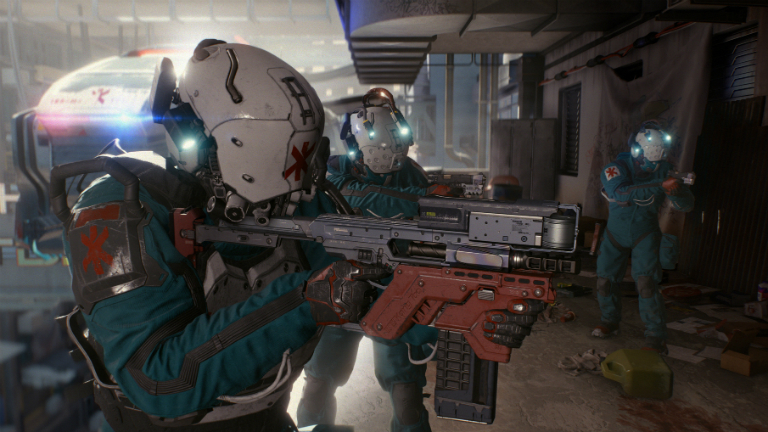 Cyberpunk 2077 has already been the target of online criticism for its eye-popping neon version of Night City, and has been unfavorably called an FPS. The Polish developers continue to insist that the final game will be a fully-fledged RPG (and without multiplayer, at least initially). And the first previews seem to confirm this. 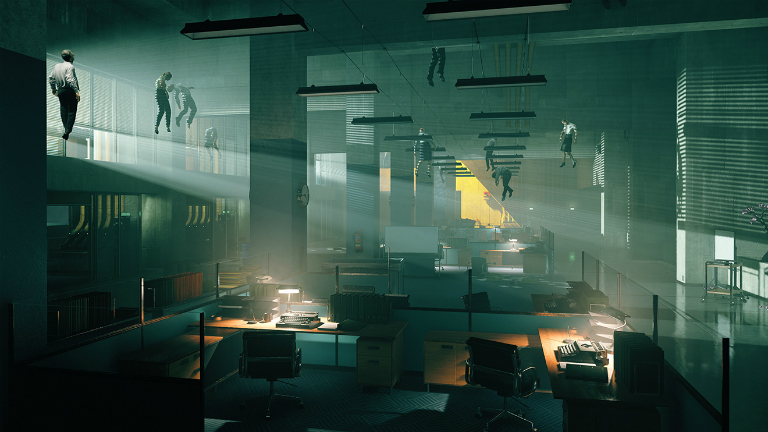 Control is a new TPS from Remedy Entertainment, widely known for Max Payne, Alan Wake, and Quantum Break. You’ll find yourself in New York in the Federal Bureau of Control, a secret organization that protects humanity against supernatural threats. The whole game will take place within the FBC building. After an inexplicable incident, all objects in the building, from guns to offices, have begun to change shape. The advanced physics and destructible environments will be key gameplay elements. 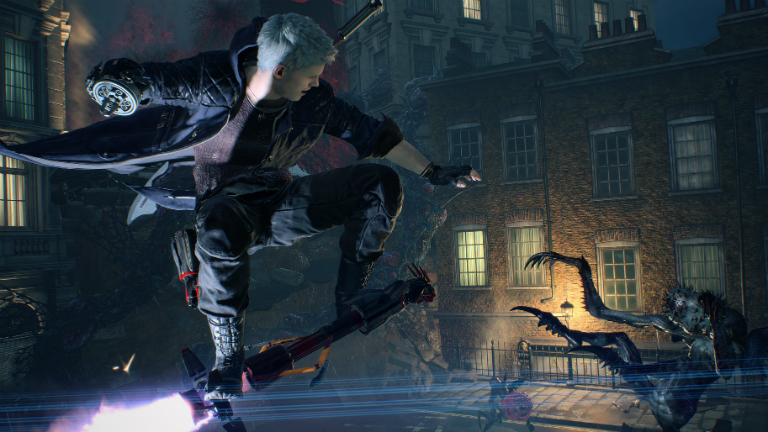 After a long gap, Capcom has returned to its hack-and-slash series Devil May Cry. The fifth instalment will be a direct follow-on from the fourth. Now the Japanese developers are focusing attention on Nero from Devil May Cry 4. He no longer has his demonic arm (Devil Bringer) so he has to replace it with prostheses painstakingly made by his assistant Nico. Each prosthesis expands Nero’s range of abilities and varies the gameplay. Dante will also be returning, but Capcom is keeping the name of the third character close to its chest — probably so they can reveal it at Gamescom in August. 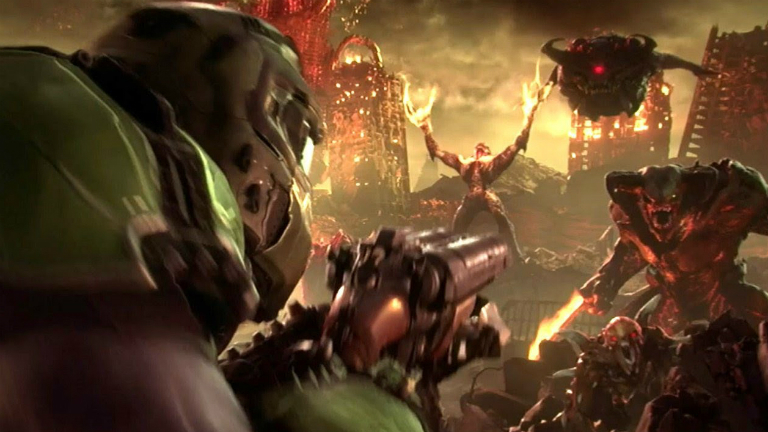 id Software executive producer Marty Stratton and creative director Hugo Martin, who created the unforgettable Doom in 2016, are now heading the development of Doom Eternal. Just Like in Doom 2: Hell on Earth, the action will take place on Earth. The game will include familiar monsters alongside new ones. Australian composer Mick Gordon will once again create the soundtrack. id Software will be presenting gameplay footage at QuakeCon in two months’ time. 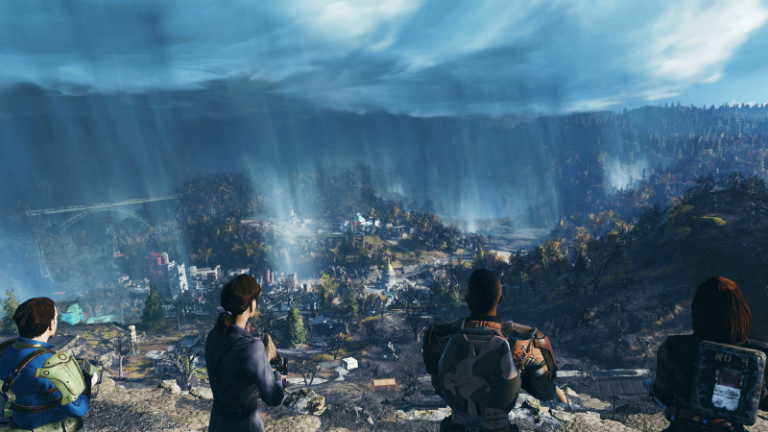 Fallout 76 is an online-only game about surviving in the wilderness of West Virginia. Bethesda won’t stop players from choosing single-player mode, but playing in a group will improve your chances of survival. But you don’t lose all your progress when you die, so it’s worth at least giving the solo campaign a try. You won’t meet any NPCs in Fallout 76 — this time around, all the survivors in the wasteland will be real people. You’ll be able to build a house, search for resources, slaughter monsters… and launch nuclear missiles — so you’ll never be bored. In Fallout 76, the world is four times larger than the map in Fallout 4, and the story is a prequel to the entire series. The game takes place 25 years after the bombs fell. 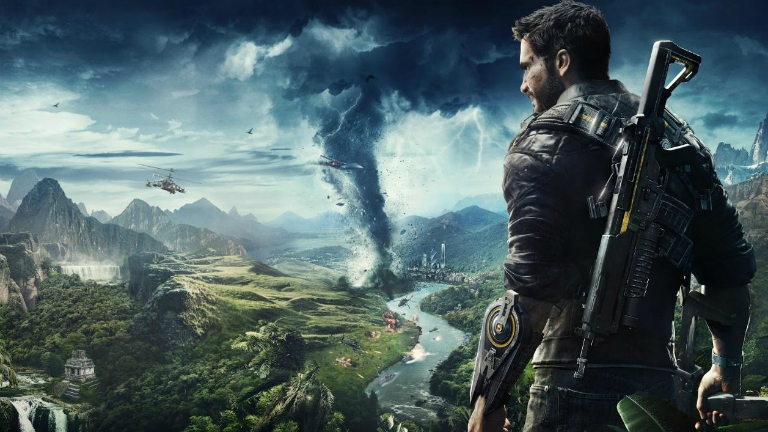 Avalanche Studios is working on three big titles right now — Rage 2, Generation Zero, and Just Cause 4. That’s right, the bullet-proof special agent Rico Rodriguez is coming back, and we don’t have long to wait. The developers have said that we can look forward to the following features in the new action game: a vast world with different landscapes, massive tornadoes, and improved destructibility, physics, and AI enemies. And, of course, Rico’s arsenal will be expanded — his grappling hook will be better than ever. 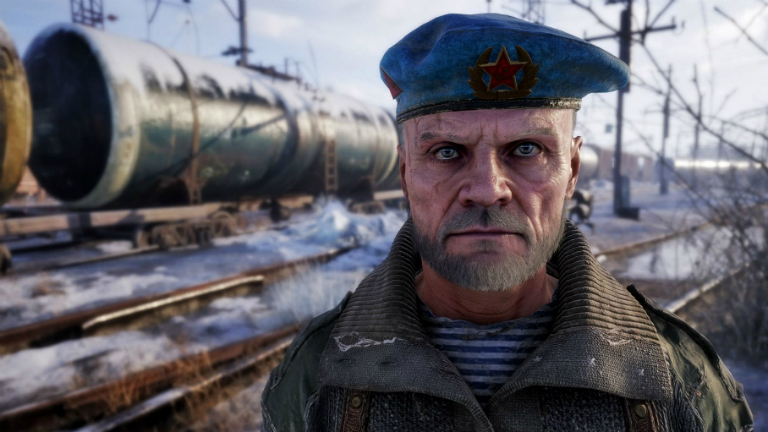 In Metro: Exodus, Artyom, his wife Anna, and their comrades-in-arms will try to cross Russia from west to east on the train Aurora. The post-nuclear country is divided into several major zones that you can explore in a branching rather than linear plot. 4A Games showed one of these levels at E3 — the refugees from the Moscow metro coming up against tough cultists as they cross the Volga river. Since Capcom announced it was remaking Resident Evil 2 for current platforms three years ago, it hasn’t let slip a single word about the project. It clearly hoped to wow fans with not even five minutes of finished gameplay to show. And it did — RE 2 made as big an impression as Cyberpunk 2077 and Death Stranding. 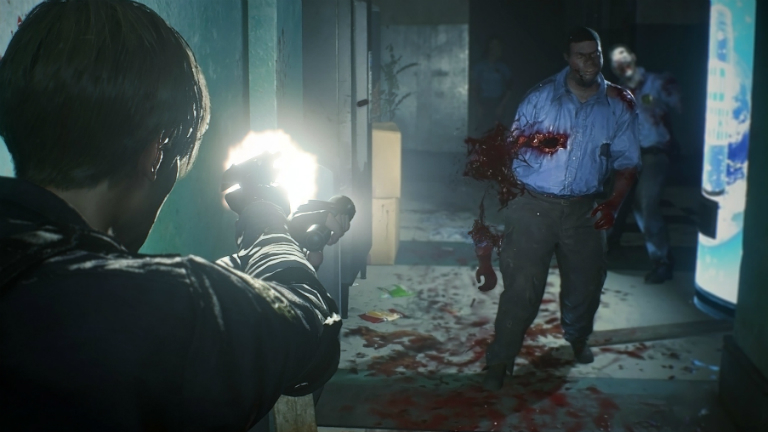 The remake is based on the same engine as Resident Evil 7, but the fixed camera has been swapped out for the over-the-shoulder view typical of the recent instalments in the series. The goal is the same — to help Leon Kennedy and Claire Redfield to get out of the zombie-infested Raccoon City. 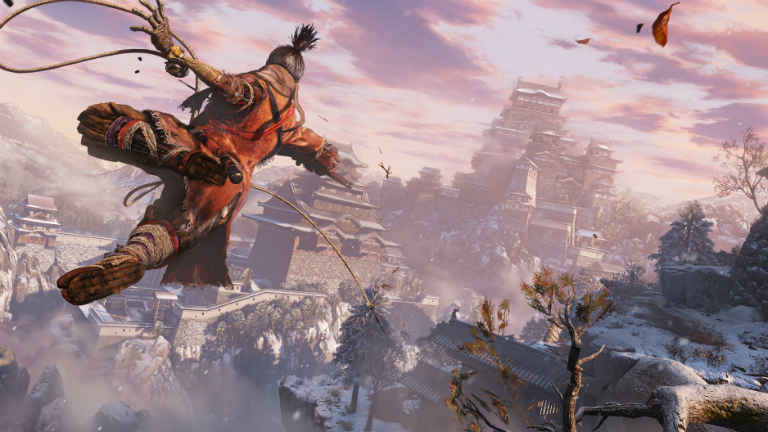 Sekiro: Shadows Die Twice is the new action RPG with a dash of mysticism from the creators of Dark Souls and Bloodborne. The action unfolds in feudal Japan. The main character is the bodyguard of a clan leader, who must rescue a kidnapped lord. The character has an interesting anatomical feature: a prosthesis instead of a left arm, which can function as a grappling hook, among other things. This allows the character to climb onto roofs and attack unsuspecting enemies. 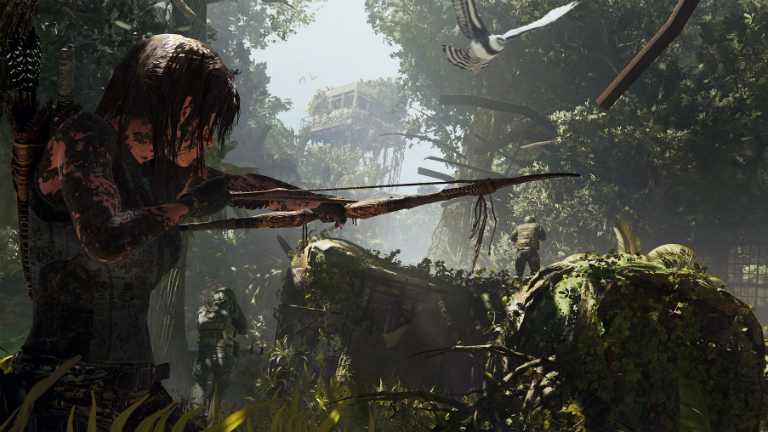 In Shadow of the Tomb Raider, Lara Croft will explore the jungles and tombs of Mexico and Peru. Some gameplay features, not presented in the Rise of the Tomb Raider will appear in the new game, such as free exploration of underwater locations. Miss Croft will also learn how to lower herself over ledges using a rope, allowing her study her surroundings in detail. The story of Shadow of the Tomb Raider centers on the Mayan apocalypse, set into motion by our beautiful protagonist. She is once again competing with the Trinity organization in her hunt for antiquities. 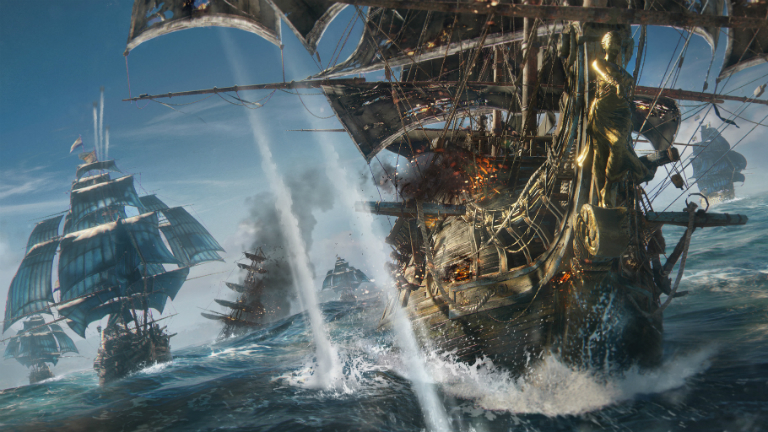 Skull & Bones is an ambitious multiplayer project from Ubisoft about 18th-century pirates in the Indian Ocean. A major difference between this and the recent Sea of Thieves is that each player has their own ship to control. At E3, the French publisher talked about their Hunting Grounds mode, which is a mix of PvE and PvP. You can also launch solo raids on AI merchant ships, but cooperating with another player is the best approach when dealing with a well-armed government vessel. Just keep in mind that your new friend can raid you too. 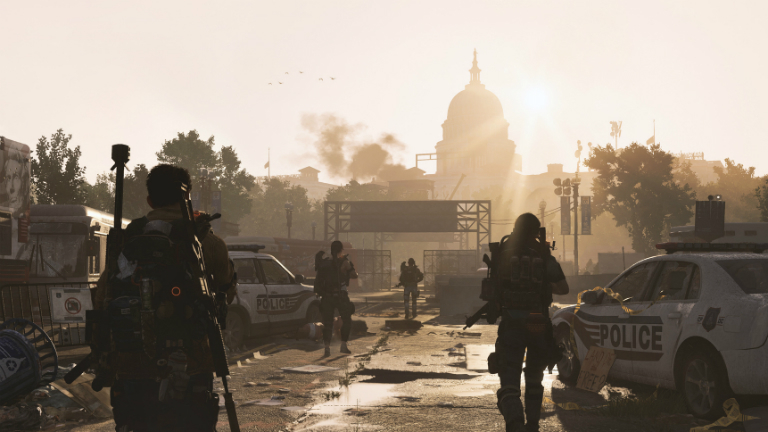 In The Division 2, Ubisoft has introduced a radical change of scene — the agents will be heading off to stamp out criminals in Washington, D.C. The U.S. capital lies in ruins, and the reason is obvious — seven months have passed since the start of the epidemic. The Division 2 will offer a rich story campaign, a reimagined Dark Zone, and eight-player raids. Players will be able to choose their specialization (the promised flexible development system) from level 30. In 2019, the developers will be releasing three major expansions for the game, which interestingly, will be free to download. Playkey.net can help you prepare for the next instalment — The Division is available in our catalog. Gamers all over the world are looking forward — with some trepidation — to every one of the games on this list. The trepidation comes from the fact that AAA games often come with high system requirements. If you don’t want to worry about how your PC, laptop, or Mac will cope with the next blockbuster, join Playkey.net. Our cloud platform allows you to play all the latest games without worrying about system requirements. ← How Do Investors Make Money on the Tokens They Buy?